Sudhanshu Kumar is a progressive and forward looking farmer from Naya Nagar Village - Muzzafarpur, Bihar. The orchard is maintainted by him and his brother Himanshu Kumar. Sudhanshu & Himanshu both completed their graduation from Hindu College Delhi and went to work in Tea Plantations in Assam. Both the brothers decided to get back to their own plantations and manage them properly. Today they produce one of the best litchis in the region. 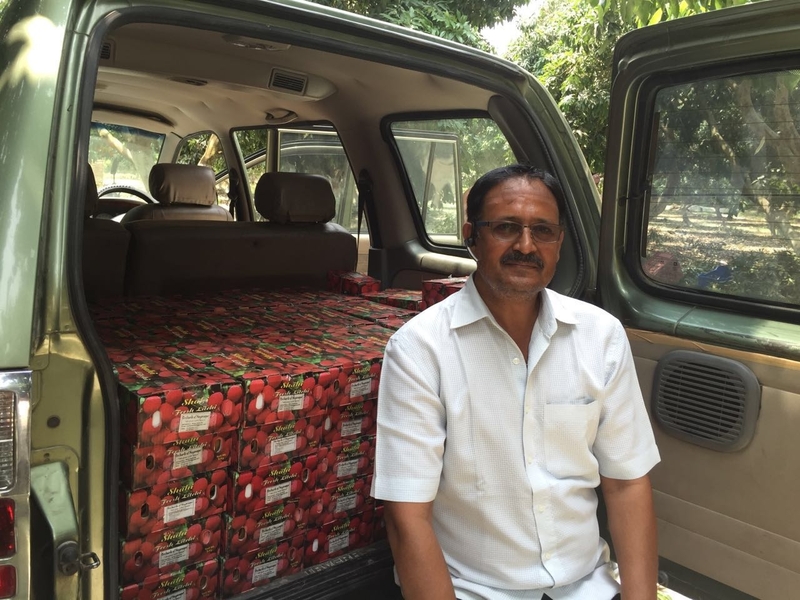 Sudhanshu is also a part of the Niti Aayog - helping farmers formulate policies in the farming sector. Shahi Litchi one of the best varieties of Litchi that grows in the country. The litchi is known for its amazing flavour, size and juice content. Muzzafarpur is known as Litchi Kingdom for its Shahi Litchi. The season for the litchis just stays for 10-15 days.